WINNIPEG , Jan. 4, 2017 /CNW/ – The CEO of Delta 9 Cannabis Inc. says the crackdown on marijuana legalization by the US Department of Justice will benefit Canadian cannabis companies in the long term. Cannabis company stock prices fell sharply on both sides of the border shortly after US Attorney General Jeff Sessions rescinded the policy known as the ‘Cole Memo’ that allows individual states to legalize cannabis, without fear that federal prosecutors will charge companies with trafficking. While cannabis has been legalized in several states, it remains an illegal, Schedule 1 drug under federal law. Today Sessions rescinded the Cole Memo, giving US federal prosecutors complete latitude to lay charges under federal drug laws, even in states where cannabis has been legalized. Delta 9 CEO John Arbuthnot says that while both US and Canadian stock prices declined on the news, the long-term implications are positive for Canadian cannabis companies. ” Canada is already, without question, the global leader in the legal cannabis industry, and this is due largely to our own federal government’s support of sensible legalization policy,” Arbuthnot says. “That support is allowing companies to expand both in Canada and now throughout the world, whereas American companies are being held back. Arbuthnot says the implications are particularly positive for publicly traded companies north of the border. Arbuthnot says Delta 9 takes no position on the US government’s decision, but does feel it will hurt the US industry while boosting the Canadian industry. 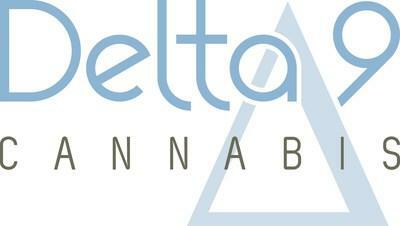 Like many other cannabis companies in Canada , Delta 9 has undertaken a massive expansion of its production facility in Winnipeg, Manitoba . Delta 9 also submitted a proposal on Dec. 22, 2017 to open a chain of retail cannabis stores in Manitoba , in response to the provincial government’s Request For Proposals (RFP). “These types of developments, where federal and provincial governments are codifying the industry into the normal routine of business, shows just how different the situation is in Canada as opposed to the United States ,” Arbuthnot said.